Man seen carrying a rifle into New Westminster hospital parkade now in custody. 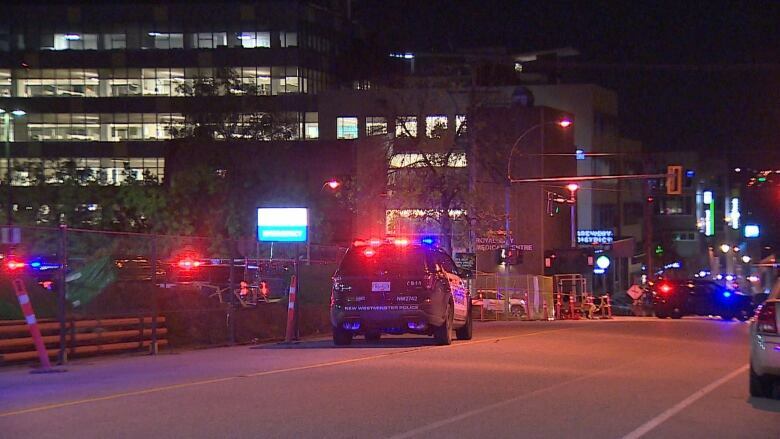 The man who was spotted carrying a rifle into Royal Columbian Hospital in New Westminster Tuesday is in custody after being arrested on firearms related offences. The incident triggered a large police response and 90-minute lockdown of the hospital late Tuesday evening. "There is no public safety concern at this time, as we have the male in custody who is alleged to have been carrying the firearm. We are thankful for this safe outcome, and our investigation is ongoing," said New Westminster Police Sgt. Jeff Scott. Police say the suspect is a resident of New Westminster. Charges have not yet been laid.